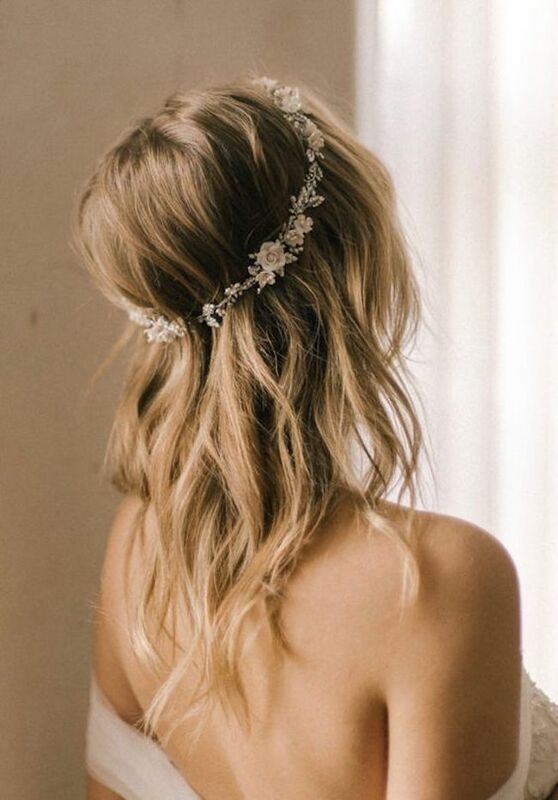 Whether you’ve fallen in love with the look of long flowy trusses, Hollywood waves, side swept or a sweetly braided bohemian hairdo, there’s a wedding hairstyle for every bride. Having long hair certainly has its advantages and the options increase exponentially with a few extra inches of hair. You can be a little more creative and adventurous with your hair but remember, your wedding day isn’t the day for experimentation. Opt for something that you just know suits you. You will feel so much more comfortable and you will feel more relaxed on the day. When it comes to choosing the right hairstyle for you, there’s a few factors to think about. Location/venue, face shape, whether you’ll be wearing a veil, your dress and the neckline on your gown. And most importantly, what feels the most comfortable for you. For a beach or seaside wedding, pinning sections of your hair back will be handy on windy days to keep the hair off your face. If you’re looking to wear a veil, consider a half up hairstyle so your veil has a firm foundation to rest in so it won’t fall out. If you feel most comfortable with your hair down and loosely curled, then go for it! 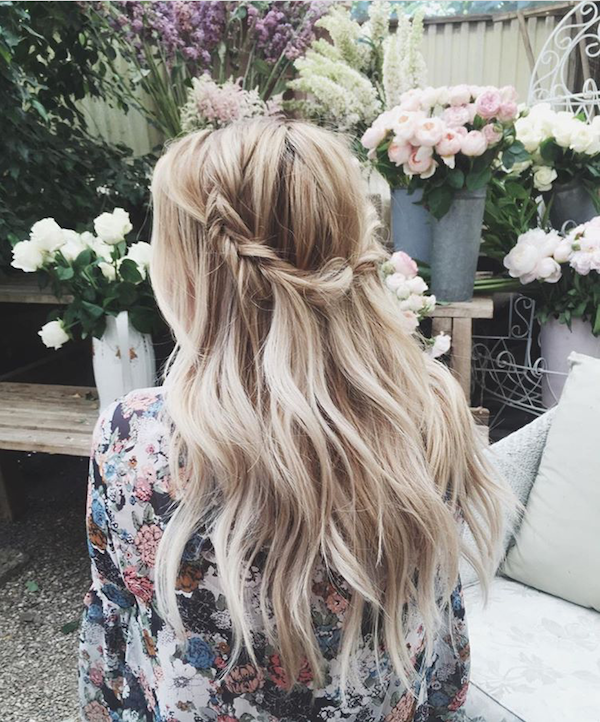 We’ve pulled together our favourite wedding hairstyles for long hair. 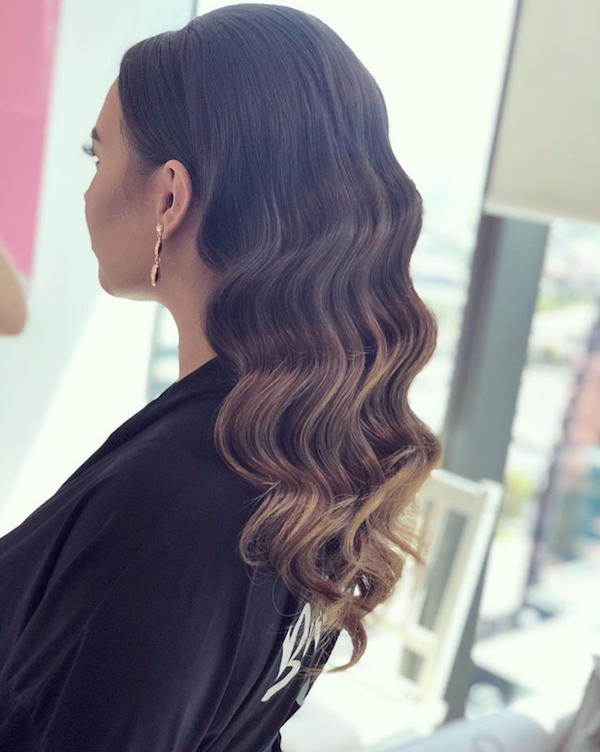 Wispy hollywood waves, loose curls, half up hairstyles and the chic ponytail. Anything goes on your wedding day and remember, there are no rules. 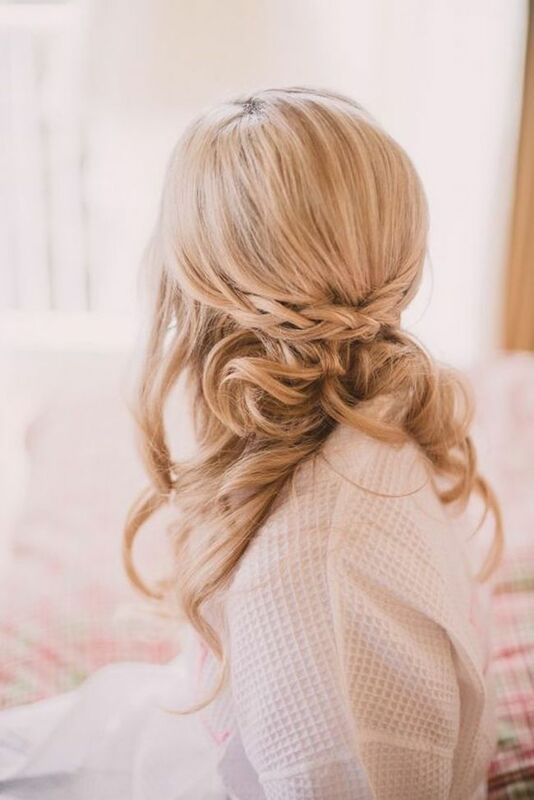 A half up hairstyle is a popular choice for brides because it keeps the hair off your face (particularly handy if your wedding will be outside and potentially windy – think beach or seaside). It’s also a great way to secure your veil because it will have a firm bed to rest in. A half up hairstyle has the benefits of up hair and the romantic and glamorous feel of loose curls. 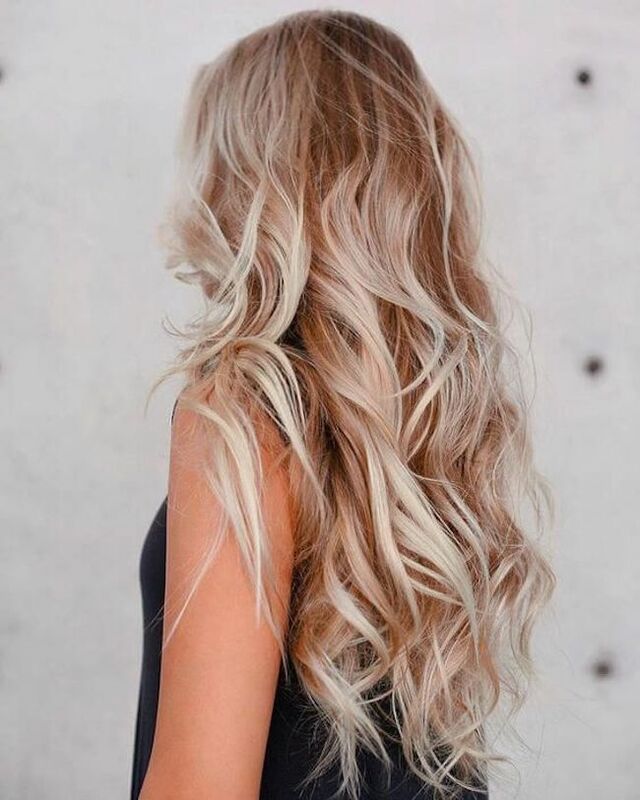 We adore soft loose curls. Messy curls, neat curls, wispy curls. Whatever your preferred look, this look is endlessly romantic and chic. If you have shorter or thin hair, chat to your hairstylist about extensions to lengthen and/or thicken your hairstyle. 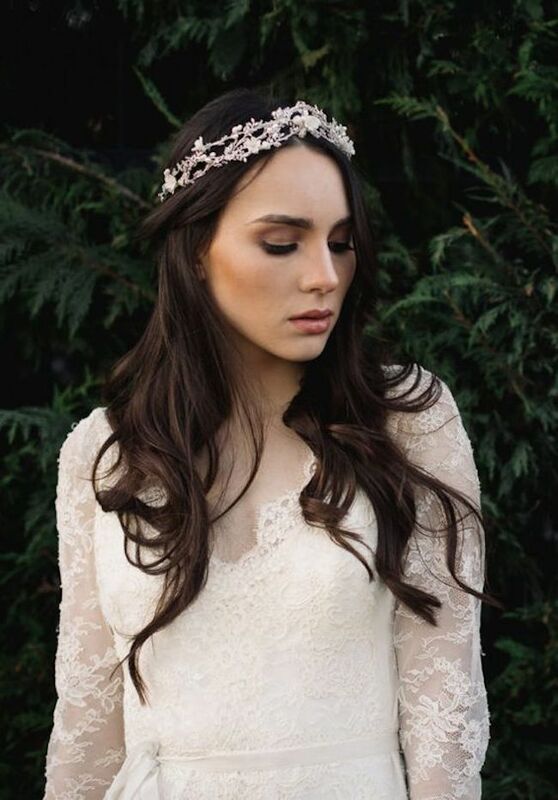 Loose curls can be styled with halos and wedding crowns for a look that exudes regality. You can also still wear a veil with an all out hairstyle but do ensure your hairstylist knows you want to wear a veil as they’ll have to use a few extra bobby pins to secure the veil into place. The beloved ponytail is back in 2018 and it’s going to adorn the heads of many brides this year. A pony tail doesn’t have to remind you of primary school – when perched at the crown with volume, it feels modern and chic. Wear it a little lower and looser for a more relaxed feel. Or, add a few braids for a bohemian touch. 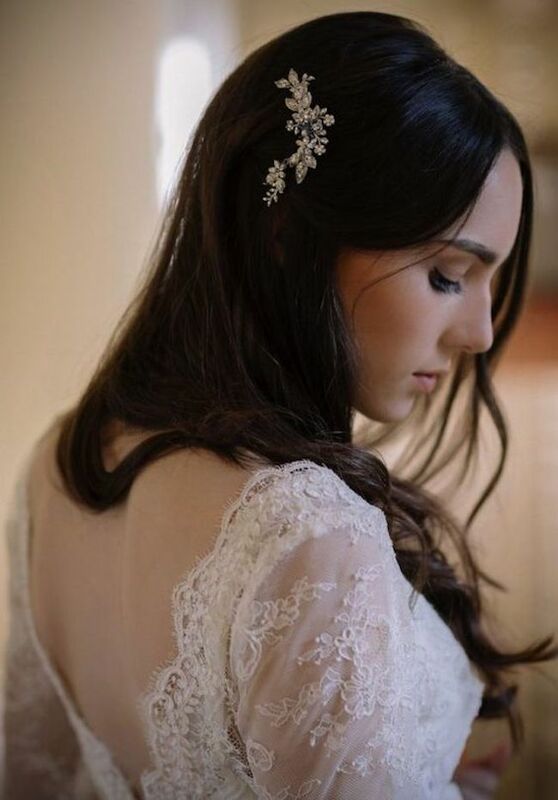 When it comes to choosing accessories for long wedding hairstyles, the world is your oyster. Traditional veils, wedding crowns, flower halos, delicate headbands, hair pins – there’s a lot of options out there for you. The best accessories will depend on the style of your dress, your personality, your face shape and whether you’d like to wear a veil. Some hairstyles suit a veil or headpiece that is attached to the front of your head, but others look better with a veil that is attached further towards the back. If you’re planning to wear your hair half up/half down, you will have the perfect foundation to secure a wedding headpiece secured into the back or side. However, if loose flowy curls are more your style, you will just need some bobby pins and a little teasing and your hair piece should stay in place all day long. Be sure to check out this fabulous tutorial on a DIY Side Twist Fishtail Braid on the Running on Happiness blog.